As a mission-driven nonprofit organization, we rely on you to turn our vision into reality! There are a great many ways to get involved at each of our seven Regions. Our Chapter is 100% volunteer fueled! We have a place for you no matter what you do or how much time you are able to give. Take a leadership role with a specific initiative or program, or enjoy a one-time task- or event-oriented opportunity. Because of the ever-shrinking world we live in, as well as the broad geographic spread of our Regions, one doesn't even need to leave the house to contribute in a positive manner as a member of our volunteer family. Got a special talent? Let's talk! Be a USGBC ambassador by sharing your expertise and passion as a program speaker. Such opportunities arise not only within our Regions and Branches, but also with organizations such as Kiwanis, Lions Clubs, Rotary, Veterans organizations, homeowners associations and others. Want to be a program speaker and share the green-building message? Interested in securing a speaker from USGBC Florida to speak to your group? To engage in either conversation, please send an email to info@usgbcflorida.org. On occasion and on an as-needed basis, unpaid internships are available with the USGBC Florida Chapter. Express interest at info@usgbcflorida.org with a note explaining who you are, why you're interested, what interests you, why you think you qualify for the role, and what you'd like to gain from interning with the USGBC. The Chapter also has opportunities to provide community service hours for high school students. What we have greened in this generation will only last if we empower the next generation to take it further and better. 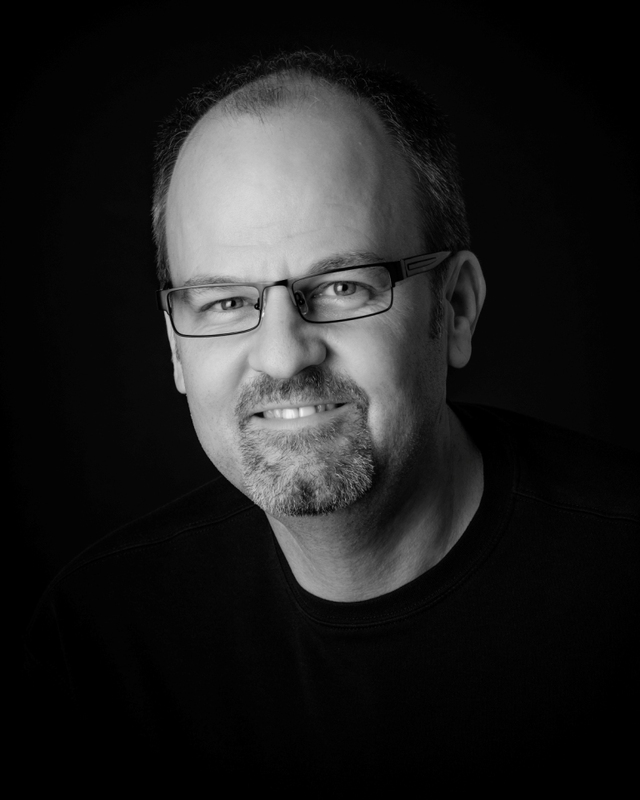 Consider mentoring one of our emerging leaders. 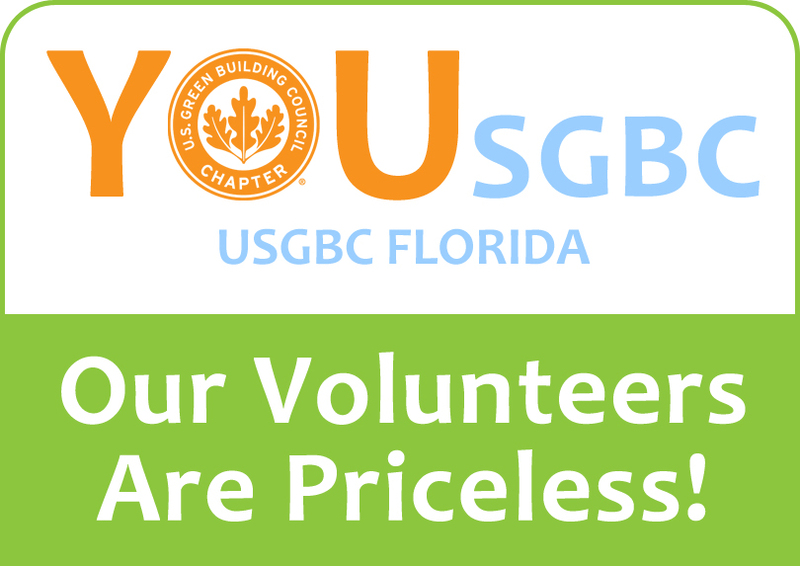 If interested, contact info@usgbcflorida.org. Chapter membership is our backbone and is for individuals. Membership allows local citizens to enhance their careers, give back to their communities, and promote the collective mission of transforming the built environment within this generation. Join now. Help us spread the word about the Chapter and USGBC's initiatives. Become a Member! Join our Volunteer Family! Be an Ambassador! Your experience will be rewarding and your contributions of time, talent and support are incredibly important. I volunteer because I believe in the mission and the urgency to affect change. I joined USGBC Florida because I want to have a bigger impact than I can have on my own. I was drawn to USGBC because we are “THE” green-building organization in the USA! We set the standards in the industry. We are transparent and passionate. No them, only us. I believe in green building: We need to be at peace with our planet. Green building is one important way to get there.